Caroline brought oil pastels by Sennelier, which are an excellent choice as they are pigment rich and a delight to work with. Cheaper brands such as W. H. Smith are not so good as they are all wax and hardly any pigment. Sugar paper is a good alternative to the preferred pastel paper and is cheaper. The most important thing is to use a paper with a good tooth to hold the pastel. 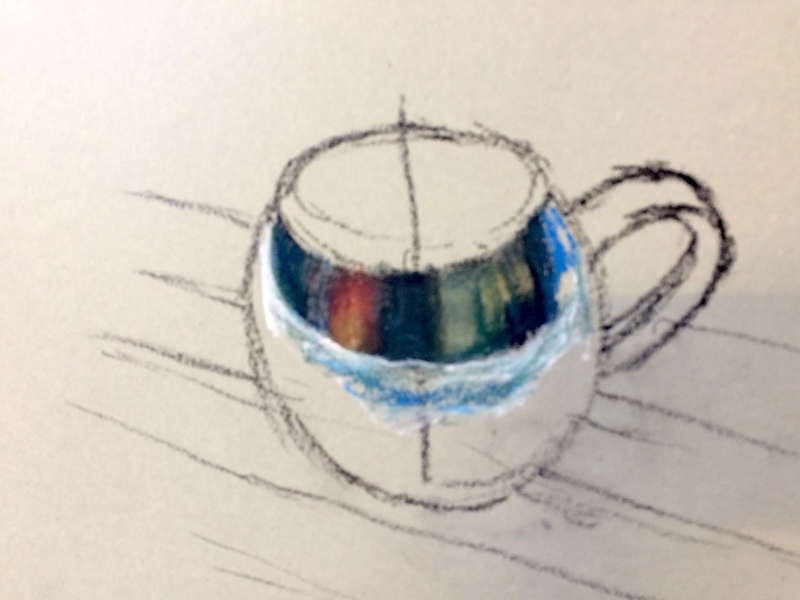 Selecting a colour that is closest to the mug to be painted, Caroline started by drawing a central vertical line to aid in the drawing of the mug. 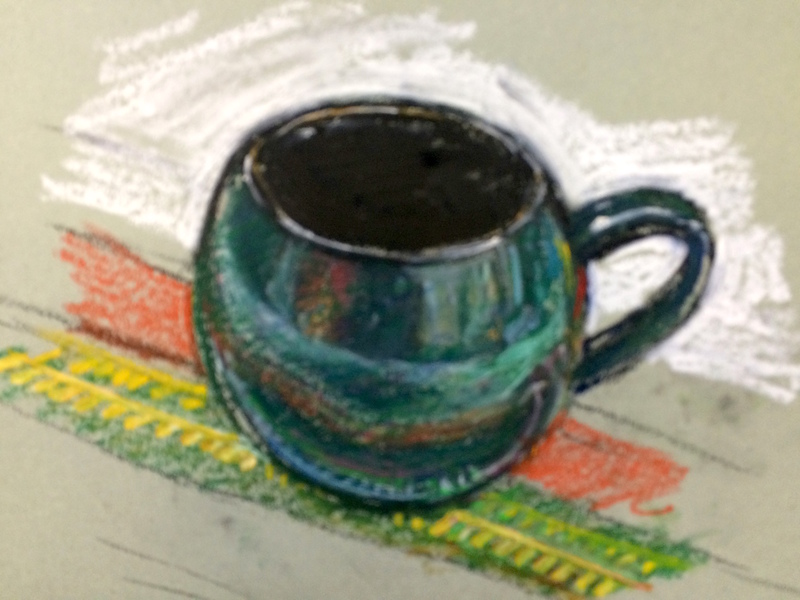 She then used good observation, not forgetting negative spaces, to make an outline of the mug. She squinted to see the reflected colours in the mug and then blocked these in. You can mix the colours on the paper, and then these can be deepened or lightened by layering until the desired hue is achieved. You may like to use your fingers to blend. Caroline then worked the bottom half of the mug, building up layers . She made the inside of mug totally black as it appeared and then using the edge of the white pastel she put in the highlights round the rim and on the handle. She also used a torchon to make additional highlights and other small marks of colour. You can take off marks made with oil pastel using this tool, unlike chalk pastels (unless you scrape them off!). Using this tool she pulled out nice shapes in the reflected colours .